Time for the January 2019 mailbag. They’re a chance to answer questions too short for a #namehelp post, and too long to fit on Facebook. 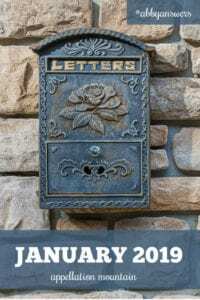 Mailbag January 2019: Is Brio a good name for a boy? It’s also a very unusual name. A mere seven boys were named Brio in 2017, and fewer than five in 2016. In Italian, it means life. But it’s better known as a musical term. To play con brio is to play with vigor. That’s an appealing image for a child’s name. But more than the positive meaning, Br- names have a long history. There’s Brian and Brendan and Brayden, Bruce and Bryce, Bradley and Brady. And those -o enders? 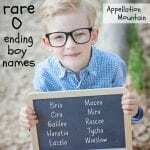 Leo, Milo, and Arlo lead the pack, but bolder -o ending boy names are very wearable today, too. There are downsides to unusual names, of course. 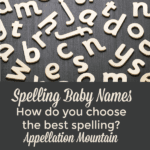 They’re often misheard and misspelled. Someone named Brio will stand out – in ways both good and bad. And should someone else come along with the name – an athlete, a fictional character, a politician? The association will be immediate and constant, for better or for worse. But I tend to think the positives outweigh those considerations. And so if Brio feels like the right name to you? Then yes, I say it’s a great name for a boy. 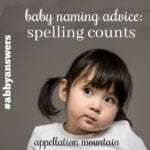 Mailbag 2019: What are some girl names based on gemstones? The Top 1000 gives us Ruby, Pearl, Amber, Jade, Ivory, and, returning to the most recent Top 1000 list, Opal. 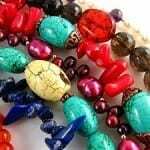 There’s also Gemma, the Italian word for jewel. Emerald – Because Emme is an easy, fits-in nickname, while Emerald is sparkling, stands-out formal choice that makes me think Wizard of Oz. In a good way. Beryl – A less obvious gemstone choice, Beryl has history. Early twentieth century aviator Beryl Markham comes to mind. I tend to think of it as green, but in fact, the mineral comes in multiple colors. Olivine – With Olivia oh-so popular, Olivine appeals to me as a middle, or maybe even as a first. It’s another name for peridot. Lazuli – Lapis lazuli is an intense shade of blue. In Persian, lazuli means heaven or sky. It makes an intriguing meaning for a child’s name. There are even more on this list. One appealing way to think about gemstone names? Because many are associated with months, they can be subtle ways to commemorate your anniversary date, or the birthday of a loved one. The American Gem Society keeps a good list of gemstone names here. Mailbag 2019: Which is correct, Claire or Clare? When it comes to spelling, correct is a slippery term. Different spellings evolve as names travel through time and across languages. What looks and feels right in Toulouse circa 1800 won’t necessarily be right in Iowa a hundred years later. In the US, Clare has never ranked higher than #402. Today it ranks a relatively chilly #861. Claire, on the other hand, comes in at #49 today. Most years, it appears in the Top 200 – though it has occasionally fallen out of favor, too. Still, I’d call Claire the dominant spelling in the US. These are subject to change, and aren’t about right or wrong – they’re about use. But there are good reasons to use the Clare spelling, too. It might be a family name. Some choose it because it honors the popular Saint Clare of Assisi. And if you just like the sparer spelling? That’s fair, too. Because neither is correct … but you might find that more people default to Claire-with-an-i than without. Can’t get enough of these posts? 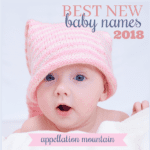 Sign up for the weekly Appellation Mountain newsletter, with fresh name questions addressed, every week. As a Clare without an i, Claire is definitely the default spelling. My second cousin is also Clare and when she was born everyone thought there was something wrong with the baby because they thought her parents were saying “it’s Clare without an eye”. I prefer Clare though, it’s the traditional English spelling for Saint Clare and you get a whole county in Ireland named after you!